AMAZING NEWS! 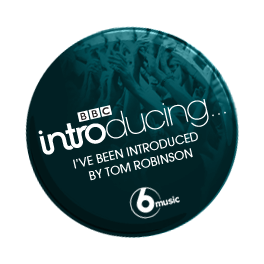 THE Tom Robinson is going to be playing "Fragile Girl" on his BBC Introducing Mixtape show on BBC Radio 6 Music in the next couple of weeks!! The show goes out at 2am on Mondays but, for those who aren't night owls, the show will be available to download as a podcast from the BBC website. This is a pretty huge step in the right direction so please keep telling your friends and family all about Lauren's music by sharing her Facebook page or Twitter details with them. Who knows what could happen next? !… Keep plugging "Fragile Girl"!